Product prices and availability are accurate as of 2019-03-30 00:08:33 EDT and are subject to change. Any price and availability information displayed on http://www.amazon.com/ at the time of purchase will apply to the purchase of this product. 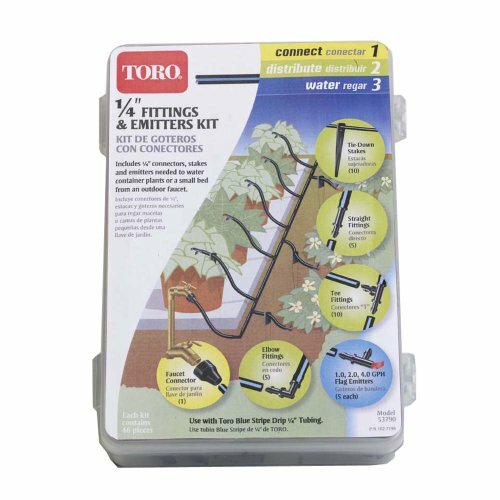 The Toro 1/4-inch Drip Emitter and Fittings Kit includes the pieces that you need to water container plants or a small bed from an outdoor faucet. The pieces are made of durable materials.